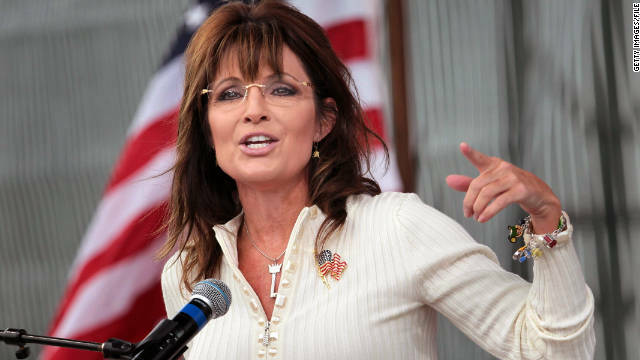 "I wasn't speeding, I was qualifying," Palin told TMZ. She added that she was listening to Sammy Hagar's "I Can't Drive 55" on the radio when it happened. She plans on paying the fine. A Palin aide had no further comment. Palin drives faster than she thinks. Her mouth moves 20 -30 mph over the speed limit. Palin was just moose hunting with her car again. If this was one of Palin's democrat opponents with a speeding ticket, she would be all over them. She is a hypocrite. So Sarah Palin in her hometown going a little bit over the speed limit and paying the fine is more of a reportable controversy than anything going on with the laughable shadiness of the IRS? Such an adorable little news organization with no agenda at all. Suggestion-if there are no more than 3-5 sentences, it's not news. Leave that info for an entertainment magazine. Going nowhere fast, as always.